Using a pastry cutter, cut shortening into flour until you have the consistency of peas. Make a hole in the middle and pour in buttermilk. 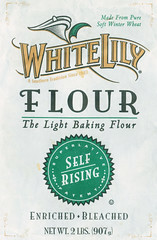 Draw flour into center mixing about 12-15 strokes. roll out into a circle about 1/2″ thick. 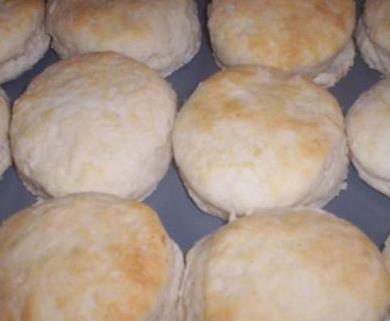 Use a flour dusted cutter (lip of a cup or glass) and cut out biscuits.